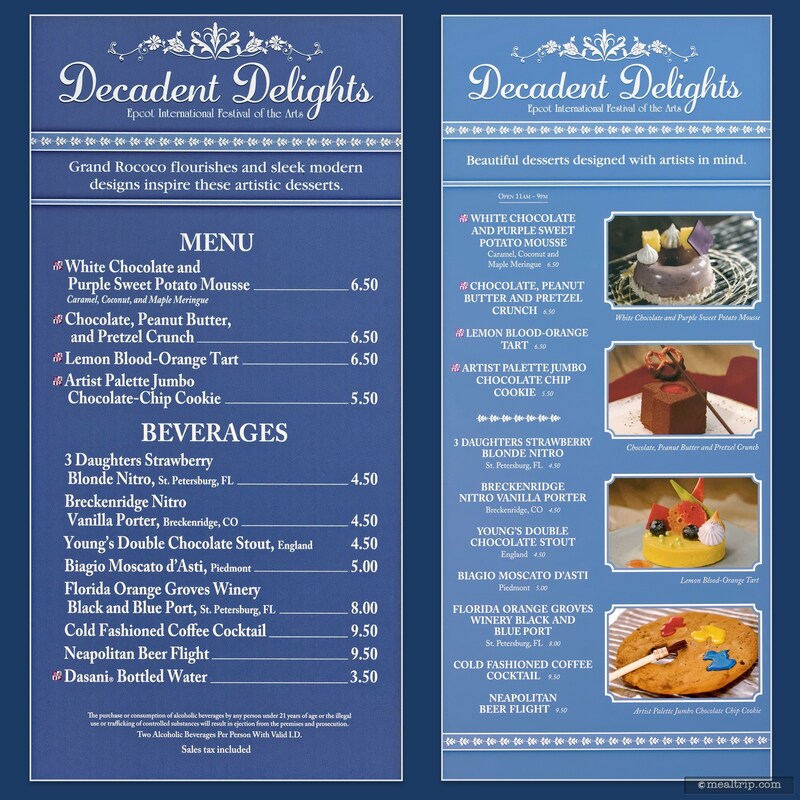 The Decadent Delights menu board for 2019. 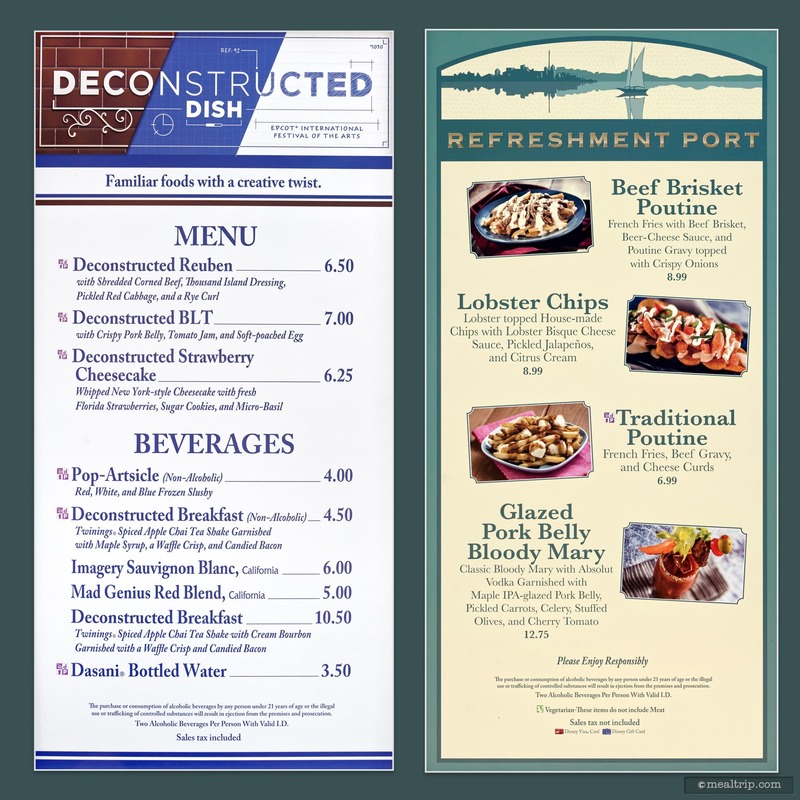 The Deconstructed Dish and Refreshment Port menu boards for 2019. 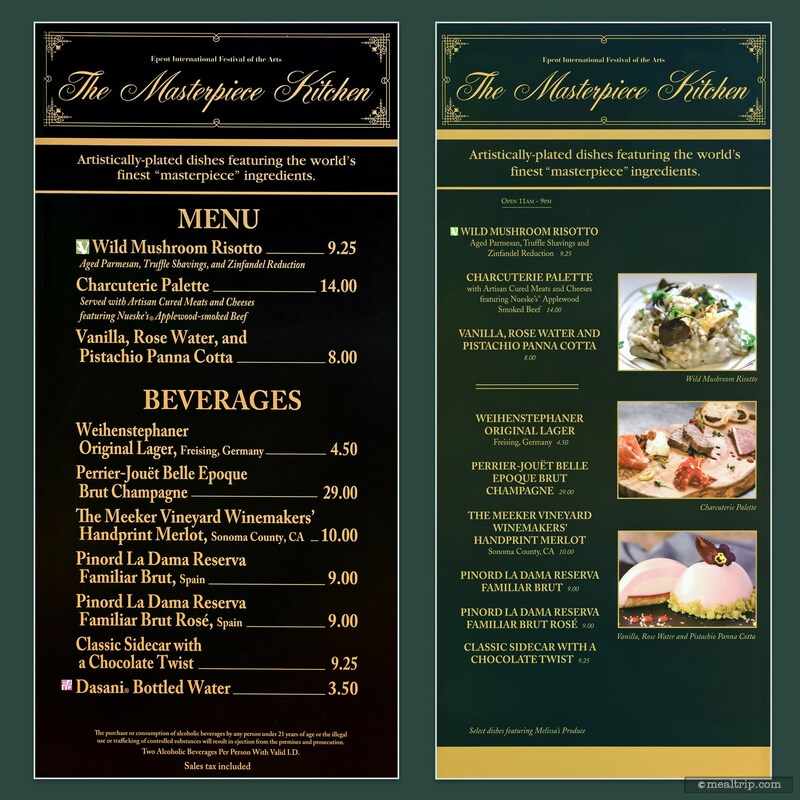 The Masterpiece Kitchen (Canada Pavilion) menu boards for 2019. 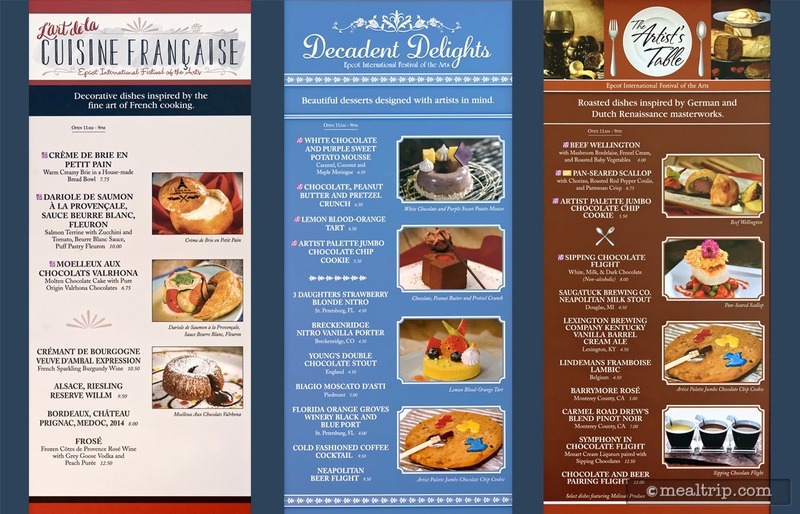 The l art de la Cuisine Francaise (France Pavilion) menu boards for 2019. 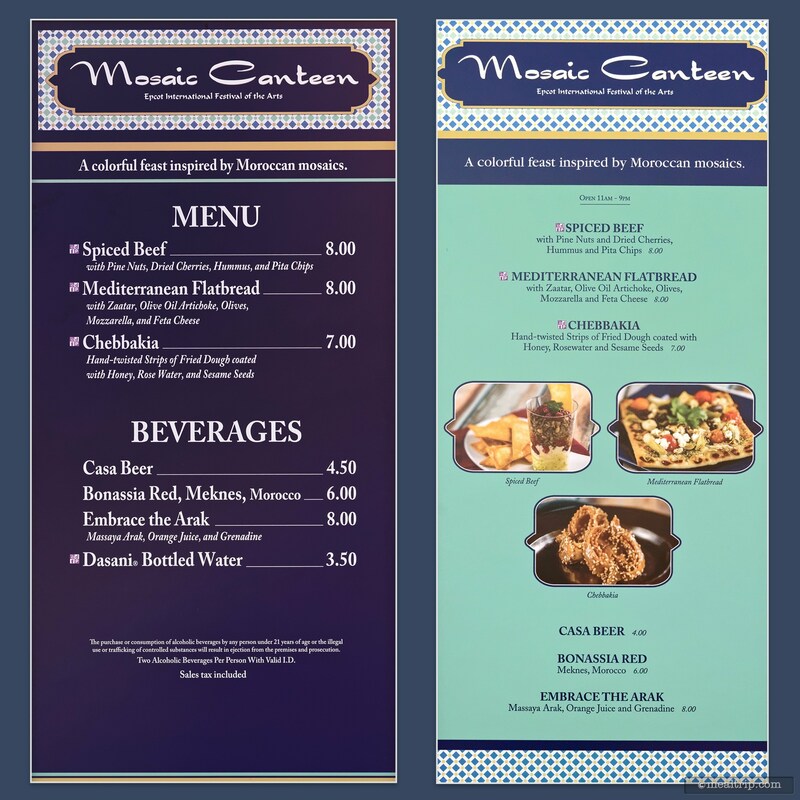 The Mosaic Canteen Menu Boards (located near the Morocco Pavilion) for 2019. 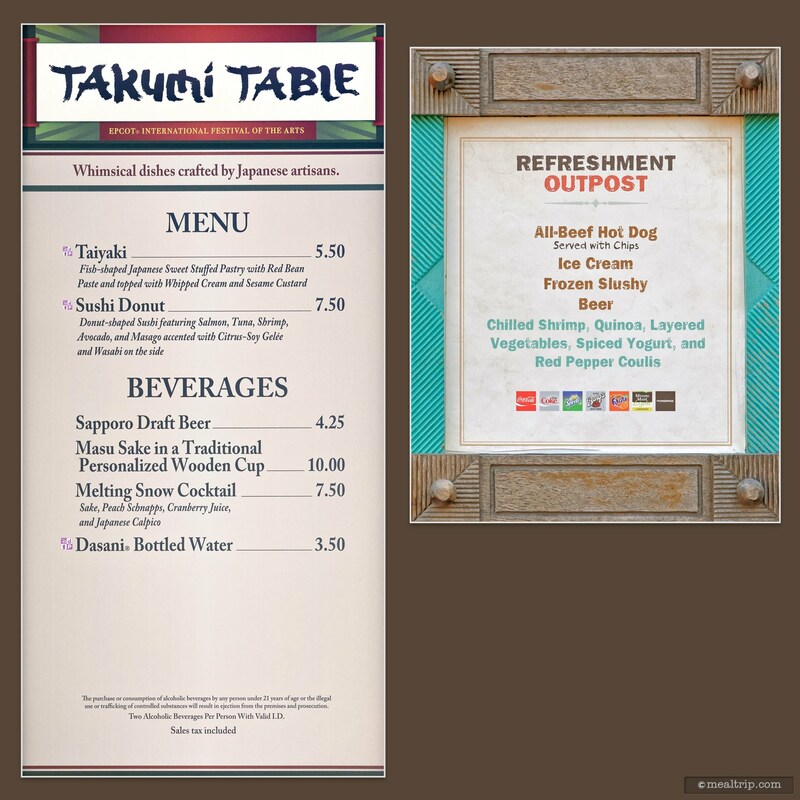 The Takumi Table (Japan) and Refreshment Outpost (unofficial Africa corner between the China and Germany pavilions) Menu Boards for 2019. 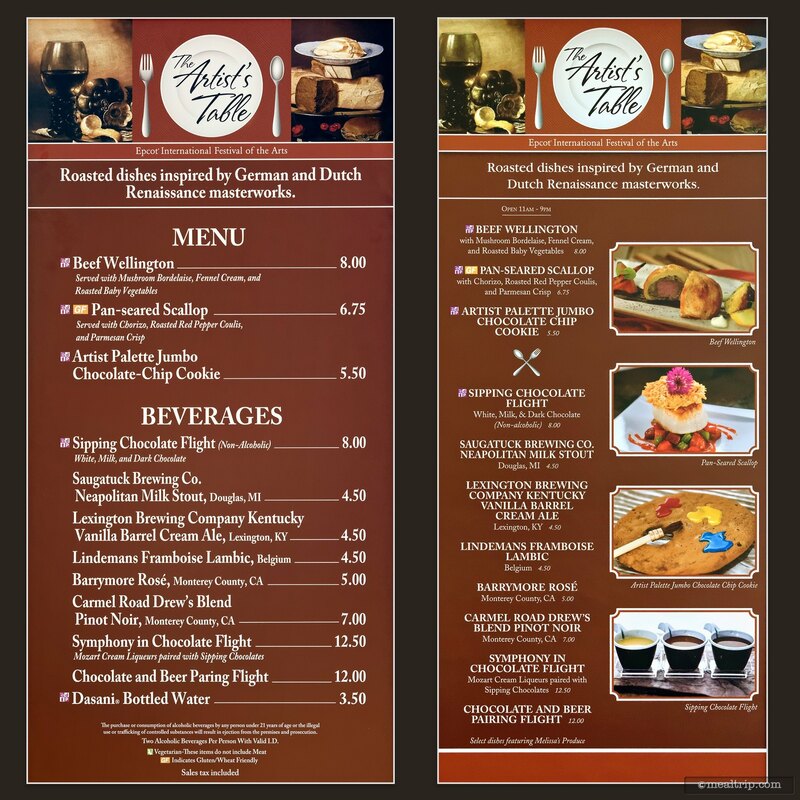 The Artist Table for Menu Board 2019. 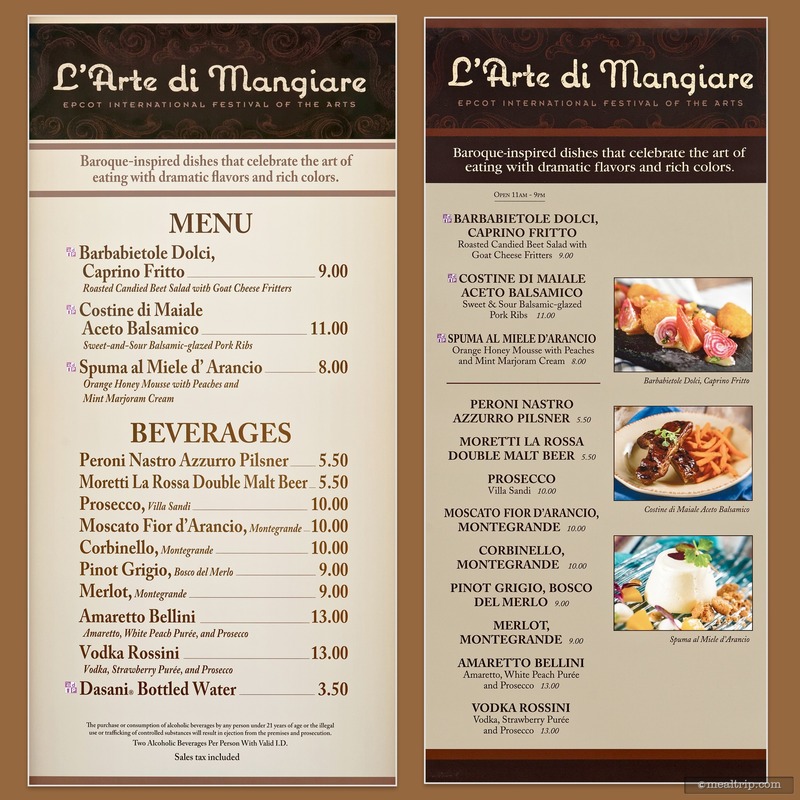 The "l arte di mangiare" (Italy Pavilion) Menu Boards for 2019. 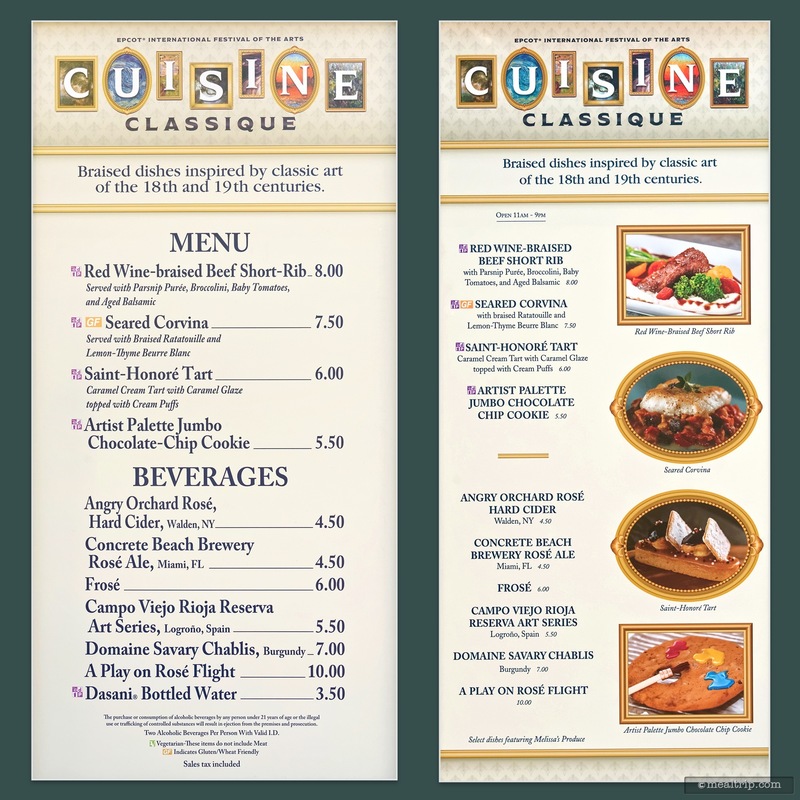 The Cuisine Classique Menu Boards (located near the Germany Pavilion) for 2019. 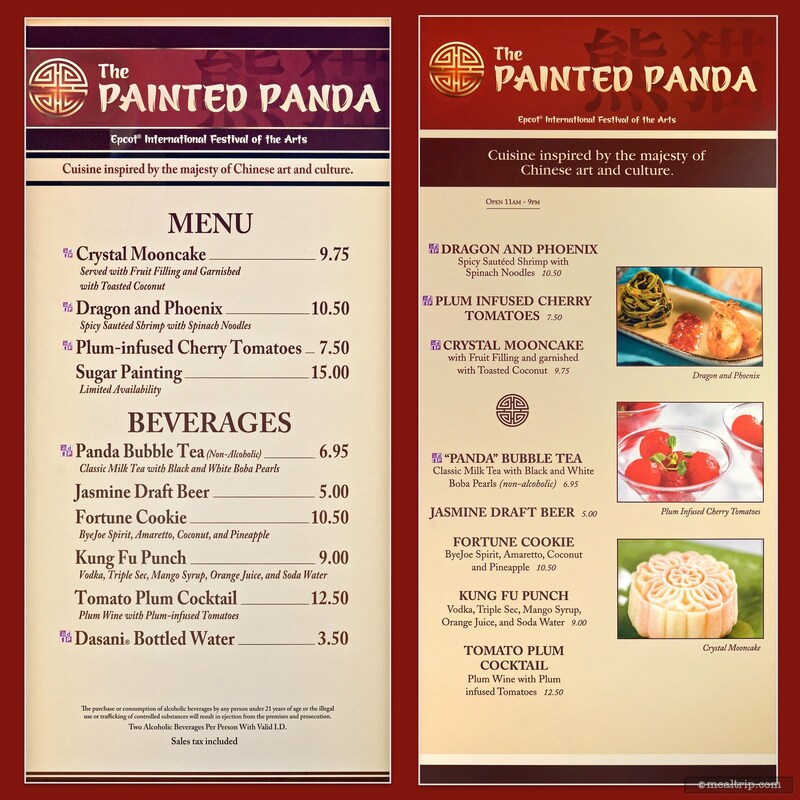 The Painted Panda (China Pavilion) Menu Boards for 2019. 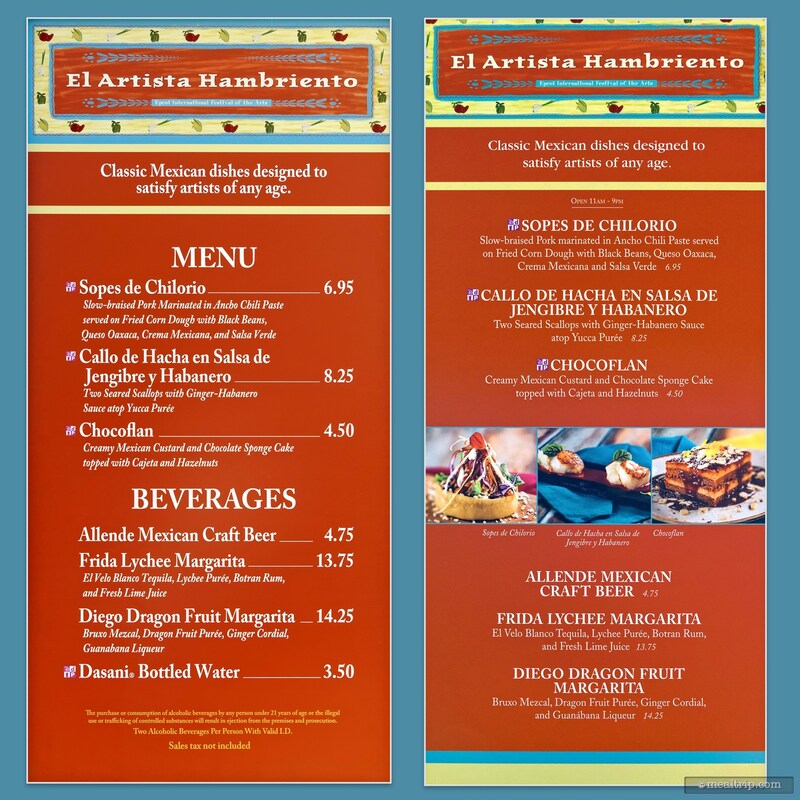 The "El Artista Hambriento" Menu Boards for 2019 (located near the Mexico Pavilion). 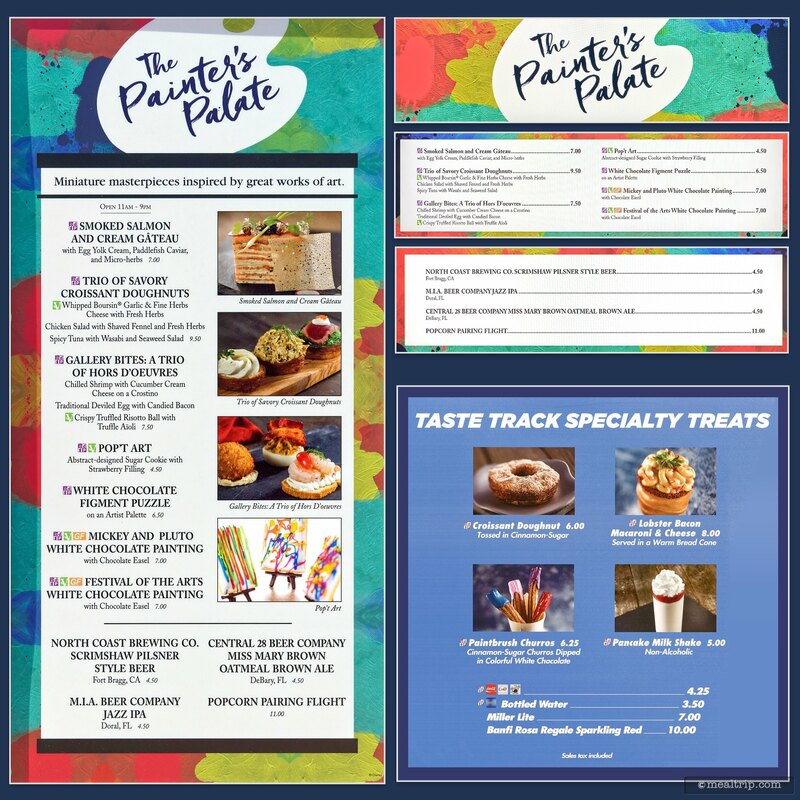 The Painters Palate (located in the Odyssey building) and Taste Track (located near the Test Track attraction) Menu Boards for 2019. 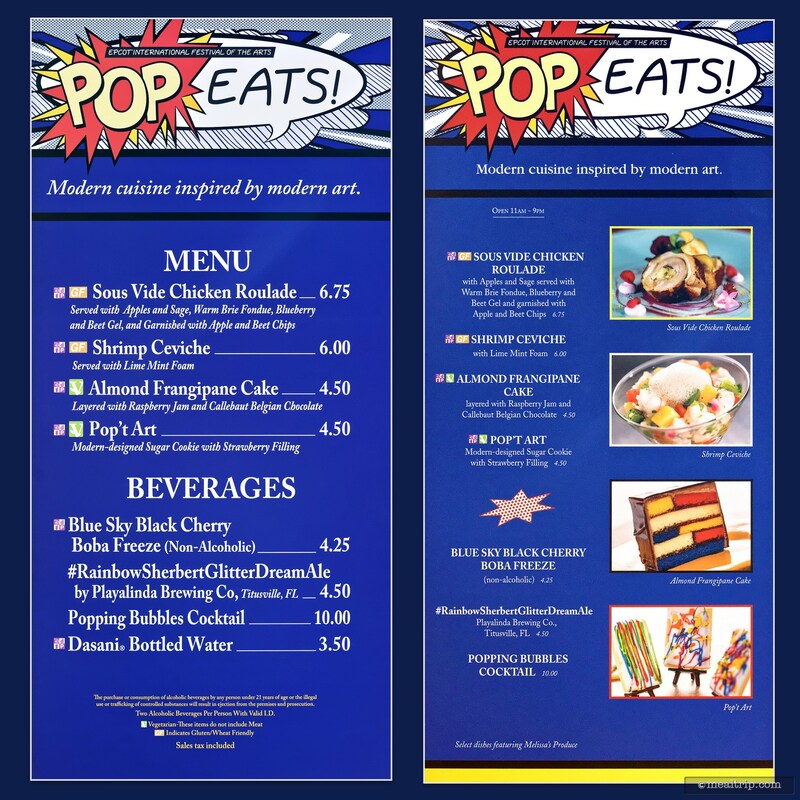 The Pop Eats Menu Board for 2019. This booth is located between the entrance to World Showcase and the Mexico Pavilions. 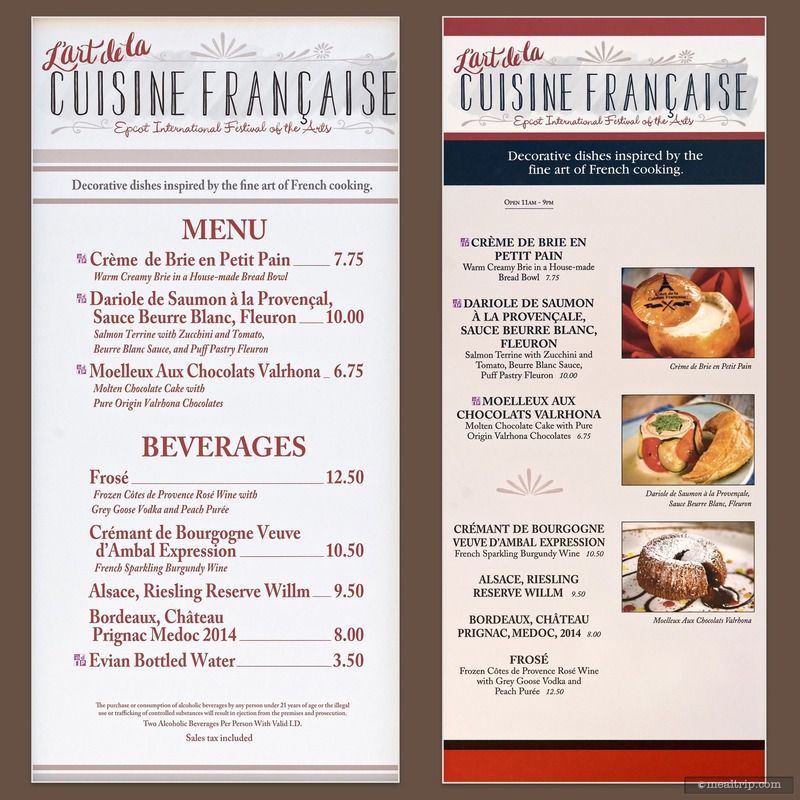 Have You Been to Any of These Locations at Epcot?